in buying and selling ads for our Festival Program Booklet. Any of the ad sizes can accommodate your family’s personal message of good will. Our booklet is designed to give optimum visibility to business ads as well – tradesmen, professionals, your physician, dentist, optician, hair stylist, veterinarian, grocery store, local service station, your favorite florist, dry cleaners, local real estate agents, insurance agents and your favorite neighborhood restaurants. Please help to make this year's festival an outstanding success for our parish community by purchasing an ad in this year's festival program. The circulation of the program will be 3,000, which makes the advertising cost very nominal for the amount of people it will reach. 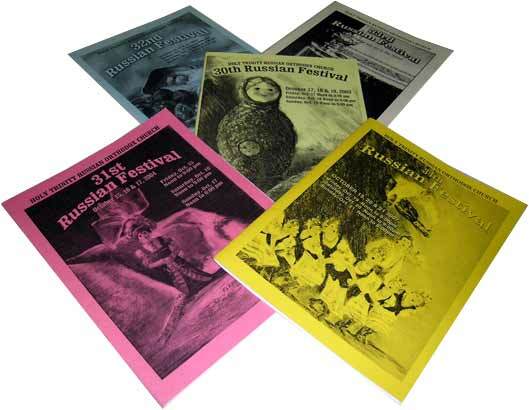 The festival program book is a great opportunity to advertise your business or organization and it also shows your support for the community. To download the Festival Program Booklet Ad Form please click here and follow the directions listed on the form. Ad contract forms and cover letters are available in church and the hall.